Alligator snapping turtles and colorful, freshwater fish circle the albino alligator known as Claude—all part of a lush exhibit highlighting ecosystems of the Southeastern United States. A returning favorite from the original Steinhart Aquarium, the Swamp is best known as the home of Claude, the startlingly white Alligator mississippiensis that's become one of the Academy's most-famous residents. Go below for underwater, eye-to-eye views of Claude and the Swamp's other creatures, then explore surrounding tanks filled with fearsome-looking alligator gars and a fascinating array of reptiles, arachnids, and amphibians. Claude might appear white, but it's actually a complete lack of pigment that makes him look that way. Catch one of our regularly scheduled presentations to learn what it really means to be an albino alligator, and what swamp life is like for American alligators today. The Swamp is the first gallery visitors encounter when they head below the surface—just beyond the Swamp await the Philippine Coral Reef, California Coast, Water Planet, and an ocean of other wonders. Meet the largest freshwater turtle in the world—one with amazing adaptations for luring in prey. Not only are the insides of alligator snapping turtles' mouths camouflaged, but their tongues are tipped with a worm-shaped appendage that can be used to attract hungry fish. Meet our beautiful eastern diamondback—a member of the largest of all rattlesnake species. Found throughout the southeastern United States, they're terrible climbers, excellent swimmers, and have highly potent venom that they use to subdue their prey. Finding your food's not always easy for a mostly blind 'gator like Claude. See how he does it in this short, behind-the-scenes video clip. Alligators and crocodiles are more sensitive than you might think. 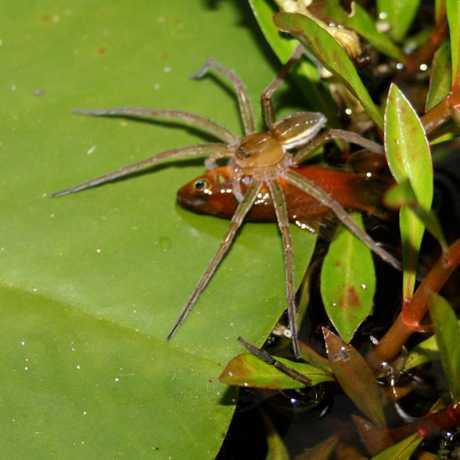 Spiders can catch and eat fish twice their body size! What are they saying? 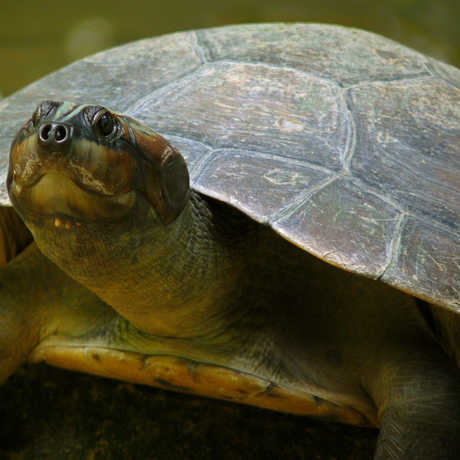 Turtle vocalizations may be linked to migration, nesting habits. Learn more about the many ecosystems showcased in Steinhart Aquarium exhibits. Explore the amazing richness and diversity found in California's coastal waters.